Keep your uniforms looking sharp with a metal uniform badge. 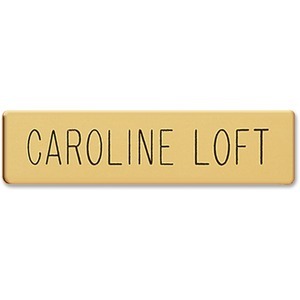 This gold-colored badge with black lettering is perfect for military or any type of name badge. Use for any business uniform. Badge attaches with a military clutch fastener.